Cardiovascular disease is the number one killer of both men and women in the US today. Medicine has many advanced therapies to treat heart attacks and strokes. However, one of the most powerful tools in the battle against sudden cardiac death is prevention. 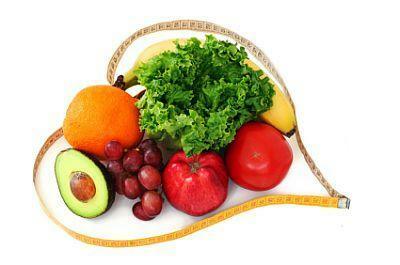 Certainly, modification of risk factors and heart healthy lifestyles are a big part of successful prevention. This past week in the Wall Street Journal, I came across an article reporting the effects of diet on lowering the risk of heart attacks. In the report, investigators looked at the impact of diet in addition to medicines in patients who already have cardiovascular disease. As I read the article, I began to reflect on how important it is for patients to take responsibility for their own health. In the US today, diets are often high in calorie dense foods with disproportionate amounts of fat. Economic pressures have people working harder with longer hours and fast food intake is commonplace–all resulting in poor nutrition. Many studies have been conducted over the years that have demonstrated the relationship between diet and type 2 diabetes, high cholesterol as well as other potentially devastating diseases. With healthcare costs rising and reform on the horizon, prevention and patient engagement is critical to disease management. Many expensive diseases and medical interventions can be avoided through prevention–the first step in reform must be to create a healthier population. Ensuring that all citizens have access to healthcare is only half of the equation–with healthcare coverage comes individual responsibility. Each American must make changes to diminish their risk for disease. Diet is an important part of lifestyle modification. In medicine, we are often excited by interventions that lower mortality by a few percentage points; There are very few interventions in medicine that reduce mortality and outcome by nearly a third. If we put these findings in context with other medical interventions that reduce mortality we find that this is an incredibly significant finding. Only colon cancer screening and breast cancer screening have shown similar reductions in mortality. Moreover, prevention through dietary changes is a relatively cheap intervention when compared to other advanced therapies for patients with known cardiovascular disease. For example, with expensive interventions such as the implantation of Implantable Cardioverter Defibrillators (ICDs) we can reduce sudden death by an average of 30% in appropriately selected patients. ICDs cost the healthcare system upwards of 20K dollars each (not including hospital and physician charges). Lifestyle modification and diet are relatively inexpensive. In fact, cooking healthy meals at home is likely to be less expensive than a trip to the local McDonalds restaurant. 4. At least two servings of fish per week. This list is not comprehensive. It is just an excerpt of a set of guidelines developed by the American Heart Association. In addition to what you should eat, we must remember what to avoid–calorie dense, high fat, nutrient poor foods. Unfortunately, these poor choices are abundantly available and often easy to access quickly. During the holidays, we are busier than ever. We must make time to improve the health of ourselves as well as our families. Certainly, the holiday season is a time to celebrate and indulgences are commonplace. Take time to make healthier choices. Give the gift of a well balanced, well thought out meal to your family. Instead of fast food, grill fish or make a seafood salad. The costs are the same (or less) and there are recipies available that are simple and quick. Involve the children in food preparation and make cooking a family activity. Begin a culture of better healthy in your home. Healthcare reform is underway. It is going to be expensive–as individuals we must play an active role in our own health if reform is to be successful. All the coverage in the world is not going to be effective at reducing disease and death in the US unless we all focus on prevention and improved lifestyle choices. So, As we near the stroke of midnight on December 31st, let’s all commit to healthier eating in 2013. Eat, Drink, and Be Merry (But Pledge to Be Healthier) as we ring we ring in the new year.